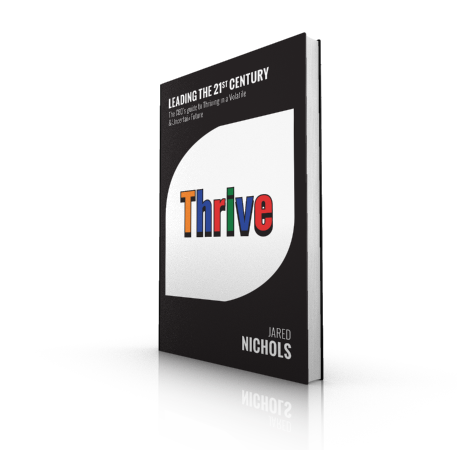 Thank you for your interest in obtaining the eBook “Leading the 21st Century: the CEO’s guide to thriving in a volatile and uncertain future”. If you are reading this book right now, chances are you are operating in a leadership capacity. As a 21st-century leader you face significant obstacles to ensuring your organization’s long-term viability. The good news is that these obstacles present extraordinary opportunity for those that have the courage to take the lead in creating and seizing the 21st century. There is no “silver bullet” solution to the complexity that you will continue to encounter as we move into the future. What I offer you in these pages is a framework for creating an effective strategy that will dramatically increasing your chances for an extraordinary and profitable future.